Charles Kurzman, “The Khomeini Wanna-Be,” November 26, 2013. It is hard to go second in revolutionary politics. The founding leaders get the glory, while their successors live in an unflattering shadow, debasing themselves with each paean to their predecessor. 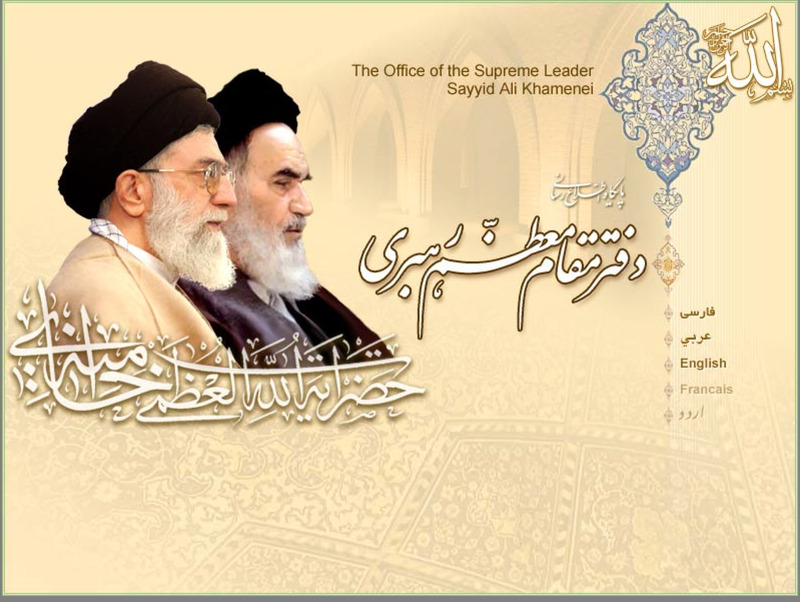 Such are the indignities suffered by Ayatollah Ali Khamene’i of Iran. Khamene’i has worked hard to build his reputation as a religious scholar and a revolutionary leader on a par with Imam Ruhollah Khomeini, the founder of the Islamic Republic of Iran. He has led the country for two dozen years now, more than twice as long as Khomeini, and he seems to crave Khomeini-level respect. 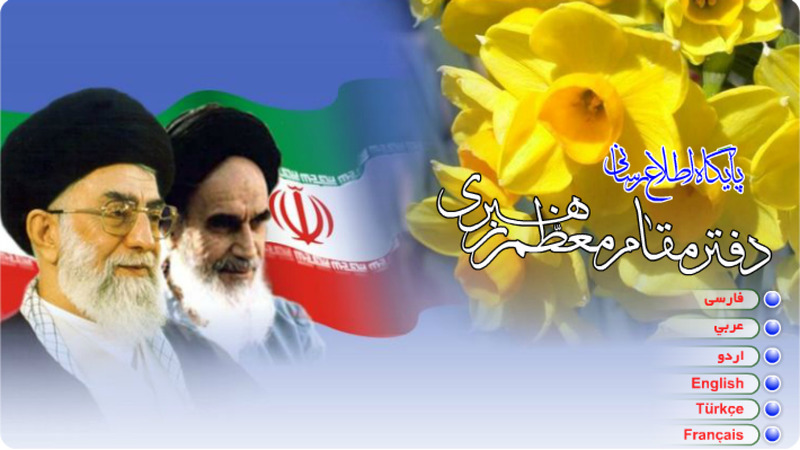 Khamene’i’s followers offer eyewitness accounts of other miraculous aspects of his personality — how he appears in dreams, inspires personal transformations, and impresses foreign leaders. Vladimir Putin, the president of Russia, allegedly saw Jesus when he met Khamene’i, according to one follower; Kofi Annan, secretary-general of the United Nations, supposedly said that Khamene’i should lead the U.N., according to another follower. These accounts number in the dozens, perhaps in the hundreds, but they pale beside the hagiographic volumes devoted to encounters with Khomeini, which are themselves modeled after the classical hadith literature on the words and deeds of the Prophet Muhammad. Still, Khamene’i indulges other attempts to build a personality cult. 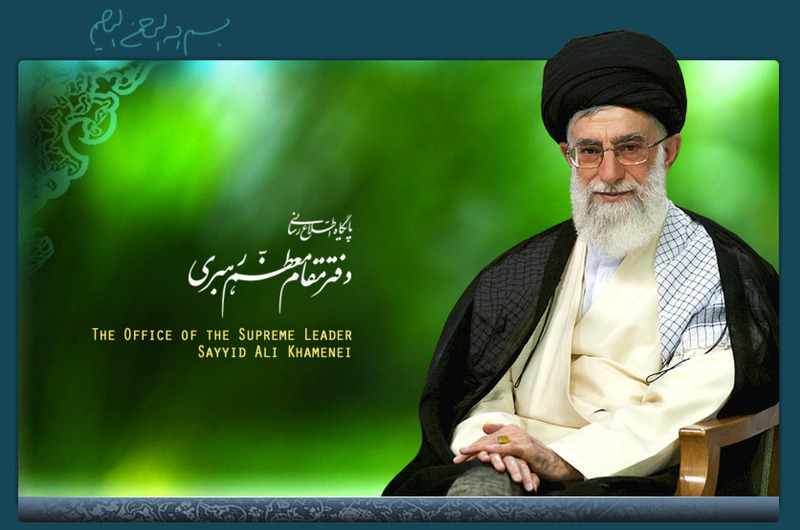 His website refers to his position as the “Supreme Office of Leadership” (Maqam-e Mo‘azzam-e Rahbari), or “Supreme Leader” in the official English version, although his actual title, according to Article 107 of the constitution, is simply “Leader” (Rahbar). 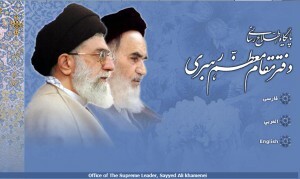 The qualifications of the Leader were downgraded in order for Khamene’i to assume the office in 1989 — the revised constitution no longer required that the Leader enjoy the “sanctity of command” and that “the majority of the people know and accept [him] to be their Leader.” The adjective “Supreme” may be an attempt to restore some of the missing sanctity. Insecure about his mass support, Khamene’i repeatedly steps into the partisan fray to defend a system he does not trust to operate smoothly on its own. “In principle, I have no intention to intervene in government affairs,” Khamene’i has said. His interventions feed speculation “that there is a rift in the ruling system of the Islamic Republic,” he noted, and overruling government officials results in the “weakening” of state institutions, which is “not in the interest of the country.” He would prefer to “do everything we can in private, but in public we would support them.” Apparently government officials have not held Khamene’i’s private advice in the esteem he expected, because he has lurched from one intervention to the next. Each intervention leads the aggrieved faction to make unflattering comparisons with Khomeini, which Khamene’i finds infuriating. 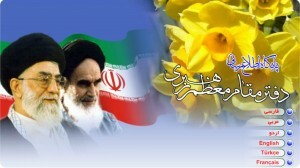 In 2009, for example, opposition leaders cited quotations from Khomeini as justification for protest after the disputed presidential election. “Do not deceive the people by claiming to follow the great, beloved leader of the revolution,” Khamene’i scolded them. President Mahmud Ahmadinejad, for his part, claimed the right to “stand up for the ideals of the Imam and the revolution” and run the country independently of Khamene’i: “We must not place the responsibility for administering the country on the shoulders of the Supreme Office of Leadership.” Khamene’i issued a fatwa reminding people that “active commitment” to his authority was a religious duty equivalent to obedience to the Prophet Muhammad. This exercise in Khamene’ology may offer a clue to the sensitivities of an old man, ruler of his country for almost a quarter century, who knows that he will always be remembered as the lesser, junior version of the revolutionary leader he replaced. This position is not unique to Iran. John Adams, the second president of the United States, was outraged by the adulation lavished on his predecessor, George Washington, as though he were “the most perfect character that ever lived,” Adams complained sarcastically in a letter to a friend. Joseph Stalin, the second ruler of the Soviet Union, built a personality cult to displace the cult around his predecessor, V.I. Lenin. Sculptures depicted Stalin larger than Lenin, and films portrayed Stalin as Lenin’s mentor rather than follower. Thabo Mbeki, the second president of post-apartheid South Africa, reportedly felt so insecure that during one period he refused to take phone calls from his predecessor, Nelson Mandela. Such sensitivities may be endemic to the role of the second-string revolutionary leader.